Trialled across Europe with more than a hint of teething problems, VAR makes its first official appearance at the World Cup in Russia. But how might VAR have impacted England’s past experiences on the global stage? Against England, Diego Maradona scored arguably the greatest goal in FIFA World Cup history, in the quarter-finals at the Azteca stadium. However, had VAR been in play, that goal may have never happened. That was because four minutes earlier the Argentine number 10 handled the ball to score the Albiceleste’s opener. Had VAR been in play, the referee could have potentially sent off Maradona, which would have changed the dimensions of the game, and the tournament that Argentina would go on to win. With two early dubious penalties, won by Diego Simeone and Michael Owen, VAR would have been busy if it had been available in the ’98 quarter-final meeting between these two rivals. Would David Beckham still be sent off for his petulant kick? More than likely, as the referee was looking straight at the incident in real time. However, the decision to disallow Campbell’s towering header appeared somewhat harsh. Campbell himself hadn’t committed any foul, but Alan Shearer was adjudged to have fouled Carlos Roa. Keepers have been receiving the benefit of the doubt on calls for a long period of time, but had the referee used VAR he would have seen Roa in no man’s land flapping, before sheepishly requesting a free-kick. The goal may still have been disallowed, but VAR would have made it a very interesting decision to be reviewed, and again, it could have seen England progress to a semi-final. To think that a single decision in this game could alter the outcome appears far-fetched. But goals do change games. 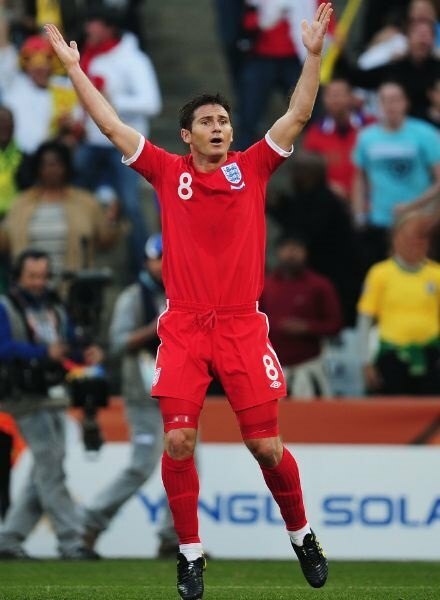 And not at 4-1 down, or 3-1 down, Frank Lampard’s strike against Die Mannschaft would have levelled the scores at 2-2. Germany finished second in 2002, and third in 2006 and 2010, before winning their fourth World Cup in Brazil. It was always going to be a tough ask, but with goals being chalked off, it was mission impossible for The Three Lions. Crashing off the underside of the crossbar and bouncing clearly over the line, before hitting the crossbar again and into Manuel Neuer’s arms. Lampard’s goal that never was demonstrated the need to implement technology at the world’s biggest tournament.